Dear Korean TV staff, did you ever experience a shortage of ideas? Or did you ever think of creating something uncreative? Seriously, how can you always manage to come up with such brilliant ideas for a show or drama? It made me want to be born as a Korean TV staff even more in my next life. Someone once wrote that in order to stay creative you have to surround yourself with creative people. Maybe...just maybe…if I’m hanging out with Korean TV staff, I can get a hint of their creativity. 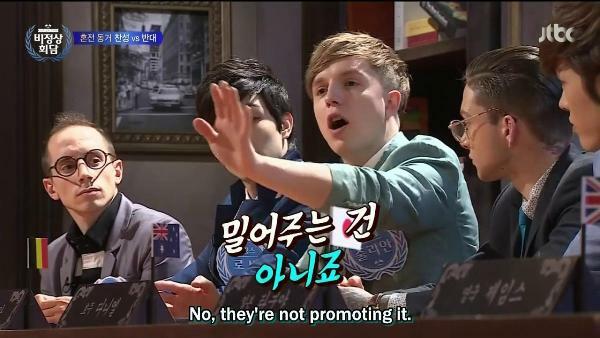 Anyway, I’m going to talk about another Korean amazing variety show. Where have I been? Why did I just know about this fun and enlightening show now? But better late than never, right? 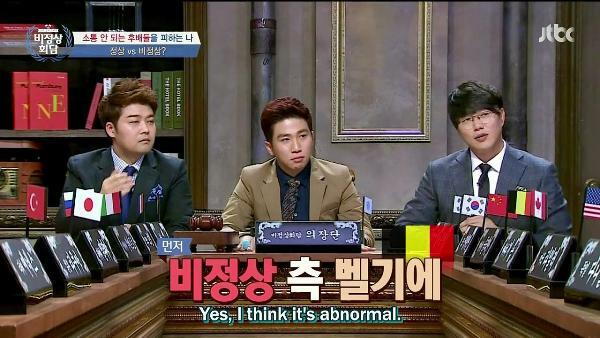 Abnormal Summit is a South Korean television program on JTBC which first aired on July 7, 2014. The show features a panel of non-Korean men, living in South Korea, who debate on various topics and “Korean culture, through the eyes of a foreigner,” in a talk show format, in the Korean language. The show is hosted by Jun Hyun-moo as the “Chairman”, Yoo Se-yoon as the “Secretary General”, and Sung Si-kyung as the “Chairman”, with guest appearances by South Korean celebrities, as guest “representatives”, who announce the weekly topics. The show’s format of a summit, refers to the foreign cast, eleven at time the show first aired, as “Representatives” from their individual countries, who make up an International panel. The hosts will explore some of the “accepted truths” in their country by inviting a group of young people to their Abnormal Summit. In a parody of the political G12 summits, these ex-pat representatives, well immersed in the host country’s culture and language, offer fascinating observations from their home nations. The representatives are joined by a celebrity guest and amongst the group they talk about matters ranging from culture and education to hobbies and their personal reasons for moving from the place where they were born. After some hilarious and frank disputes, the representatives get to vote on whether they think the traditions and viewpoints of the country are normal or abnormal! 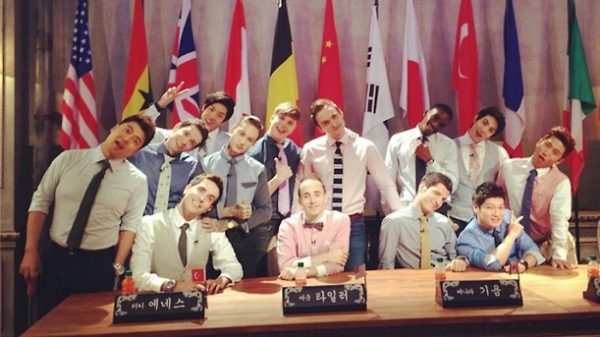 The show’s original casts are United Kingdom’s James Hooper, Canada’s Guillaume Patry, Japan’s Takuya Terada, Italy’s Alberto Mondi, China’s TV announcer Zhang Yuan, and United States’ Tyler Rasch, Belgium’s Julian Quintart, France’s Robin Deiana, Australia’s Daniel Snoeks, the youngest, Ghana’s Sam Okyere, and Turkey’s Enes Kaya. There are several cast changes. Current representatives in the show are Canada’s Guillaume Patry, Italy’s Alberto Mondi, China’s Zhang Yuan, Germany’s Daniel Lindemann, US’ Tyler Rasch, Ghana’s Sam Okyere, Poland’s Przemysław Krompiec, Brazil’s Carlos Gorito Norway’s Nikolai Johnsen Greece’s Andreas Varsakopoulos, Egypt’s Sami Rashad El-Baz, and Japan’s Yuta Nakamoto. 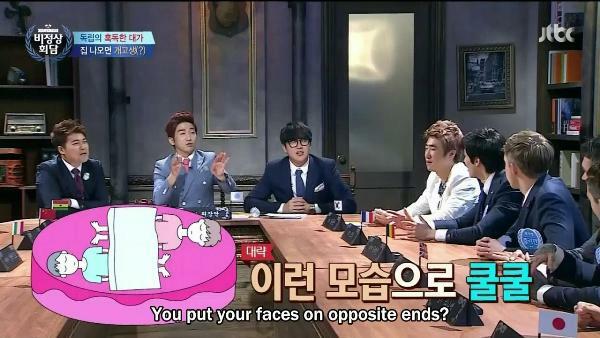 I never knew that a group of man who talk about certain topic can be a fun thing to watch! What I like from the show is that it is interesting even from a female viewer’s perspective. Usually, when men are talking about something, as a woman, I often feel bored or lost, but this show is nothing like that! I can relate to what they’re talking about and some time I often taking side. The show is also enlightening. The show has broadened my knowledge about each country’s culture and how each country’s representatives address one topic, which often sparks a debate due to the difference in opinion. What’s interesting is that the debate will be solved by a clear solution at the end of the show, which is something really valuable, I think. Another reason why I love the show is because it is packed with humor. Some topics are really sensitive, but thanks to the competent MCs and the easy-going casts, such topic can be discussed more lightly and pleasantly. Though, sometimes several casts often involved in heated debates. 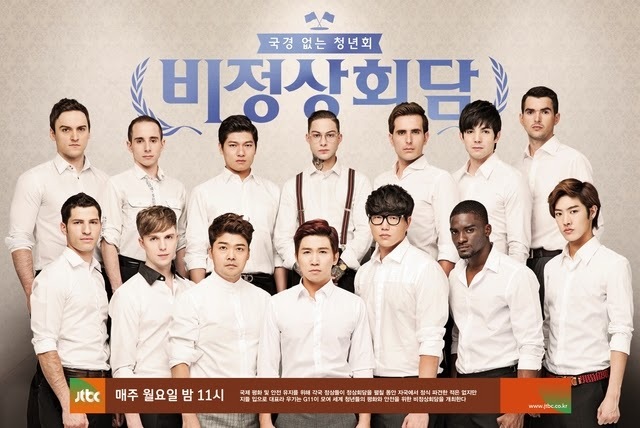 Fortunately, the production team has prepared a “Hand in Hand” song for such condition, in which every time a fiery debate happened and the MCs seemed to be overwhelmed with such circumstance, the production team will play the song and the casts and the MCs must standing and holding each others’ hand while singing the song. The show is not only offering an entertainment for your soul only, but also for your eyes. It’s because some of the casts are really attractive and eye-catching. Like Robin, for example. I think he’s the most handsome representative in the show. He looks like a mix of European guy and Japanese man. 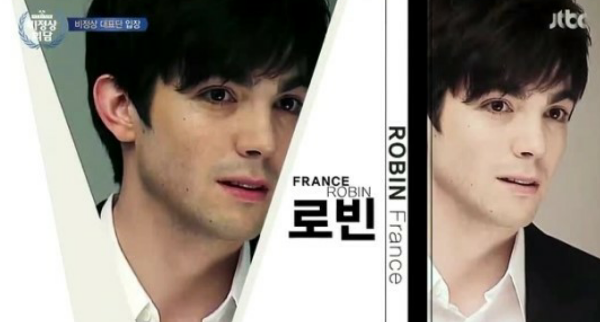 Though Robin successfully treated my eyes with his striking appearance, my favorite cast is not him. It’s the smart and polite Tyler. I’m so happy that he stay and not going anywhere. 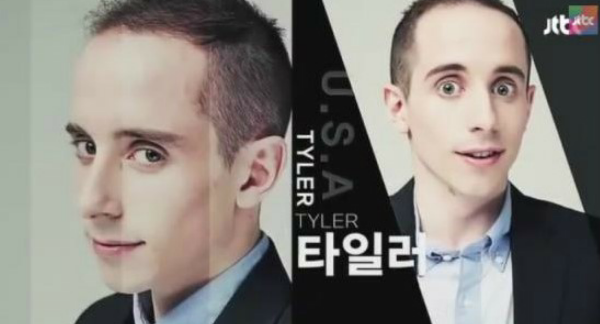 Even though he seems dorky and less-masculine compared to the other representatives, Tyler is probably the one that always can cool off an intense situation. His smart brain and broad knowledge are his strength in the show. Oh, and he’s a student of Seoul University! To sum it up, Abnormal Summit is another Korean Variety Show you should not missed because aside from being able to get a daily dose of laughter, this show will also make you learn about the beauty of diversities.